Juhani Aaltonen (b. 1935) is a key member of the first generation of Finnish jazz musicians who established Finnish modern jazz as having its own, distinctive voice. Rather than just copying American jazz musicians, these players brought something new and particularly Finnish into their own musical expression. Other than a few performances in his early teens singing popular couplets and playing the guitar, Aaltonen first performed in public in the mid-1950s in Inkeroinen, his hometown in central Finland. His first instrument was the tenor saxophone, which he had purchased on a whim at the age of 18 and on which he was totally self-taught. A couple of years later, the tenor was replaced by the baritone saxophone, with the flute added a bit later when he joined a group of local jazz enthusiasts led by trumpeter Heikki Rosendahl. The Heikki Rosendahl Sextet played, in addition to the then obligatory dance music, jazz influenced in particular by the music of Gerry Mulligan and other West Coast players popular at the time and by Sweden´s legendary baritone saxophonist Lars Gullin. In 1961, Aaltonen began his studies at the Sibelius Academy in Helsinki with the flute as his major but, after one year, dropped out to begin his professional career as a full-time free-lance musician. For the first few years, he played in various dance bands backing vocalists, such as Annikki Tähti, Anneli Sari and Kai Lind, but beginning in 1966, he focused on his 35-year career as a highly sought-after studio musician while otherwise devoting his time to more creative music. Following his move to Helsinki, Aaltonen had come under the influence of Eric Dolphy, whom he saw perform with John Coltrane in Helsinki in 1961, and briefly switched to the alto saxophone as his principal instrument. During the first half of the 1960s, Aaltonen then played both the alto and the tenor saxophone with the latter finally taking over as his main instrument in the late-1960s. Thereafter, Aaltonen would occasionally double on the alto and soprano saxophones, but became known particularly for his tenor saxophone and flute playing. Already in the early- to mid-1960s, Aaltonen began his long-standing co-operation with three key figures in Finnish modern jazz who were all highly regarded both as instrumentalists and composers: trumpeter Henrik Otto Donner, pianist Heikki Sarmanto and drummer Edward Vesala. In addition to working with these key collaborators, Aaltonen participated in a number of ground-breaking groups and recordings by fellow saxophonists Esa Pethman, Eero Koivistoinen and Seppo Paakkunainen, trumpeter Mike Koskinen and guitarist Ilpo Saastamoinen. All of these musicians were members of the new generation that emerged in the 1960s and, often together, tested the boundaries of jazz as well as the increasingly experimental rock music. For example, Aaltonen performed with Soulset (an early soul-influenced fusion jazz ensemble led by Seppo Paakkunainen and Edward Vesala) and was one of the founding members of the progressive rock group Tasavallan Presidentti. In the fall of 1970, Aaltonen attended the Berklee College of Music in Boston, where he studied with Herb Pomeroy and others, but had to abandon his studies after only one term. Following his return to Finland, Aaltonen continued to collaborate with Donner, Sarmanto and Vesala, among others. Increasing international co-operation was also typical of this time. Despite his busy career as a studio musician and his role as the principal soloist of many large orchestral works, Aaltonen was - and is - particularly fond of free improvisation. Some of the most memorable early moments involving Finnish jazz musicians playing within that genre featured him in a prominent role, including his trio recording with bassist Arild Andersen and Edward Vesala (Nana in 1970) and a recording of the German-Finnish Jazz Workshop, with saxophonist Peter Brötzmann, bassist Peter Kowald and Edward Vesala (Hot Lotta in 1973). Although more structured, the early small-group recordings with Heikki Sarmanto (Flowers In The Water in 1969 as well as Counterbalance and Like A Fragonard, both in 1971) also relied heavily on free improvisation. However, just like Vesala, Aaltonen soon moved forward from the more extreme expressions of "freedom", with the free improvisation becoming a tool rather than a goal in itself.As part of his co-operation with Edward Vesala that began in the mid-1960s and continued intensely for two decades, Aaltonen participated as a key soloist in a number of recordings and concerts organized by Vesala beginning with the small groups of the late 1960s and early 1970s and reaching a high point with the larger ensembles of the late 1970s and early 1980s (Nan Mandol in 1974, Rodina and Satu in 1976, Neitsytmatka in 1979, Mau Mau in 1982, Good Luck, Bad Luck in 1983 and Kullervo in 1985). During a three-year period towards the end of the 1970s, Aaltonen was also a member of the Arild Andersen Quartet, touring extensively and recording two well-received albums with the group (Shimri in 1977 and Green Shading Into Blue in 1978). 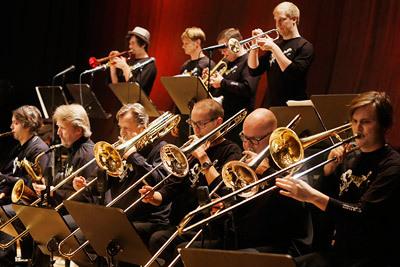 In 1975, Aaltonen was also one of the founding members of the New Music Orchestra (UMO) (now known as the UMO Jazz Orchestra)and recorded a number of albums with the big band. His membership in UMO continued until 1986 when he left after receiving a 15-year artist´s grant from the Finnish State. In 2006, Aaltonen again recorded as a soloist of UMO with guitarist Raoul Björkenheim and pianist/harpist Iro Haarla (The Sky Is Ruby,TUM CD 017). During the 1980s, Aaltonen continued to collaborate with Donner, Sarmanto and Vesala as well as pianist Jukka Linkola and vocalist Maija Hapuoja, among others. In addition to smaller groups, Aaltonen performed as a soloist of a number of larger works, including several of Heikki Sarmanto´s orchestral compositions, Jukka Linkola´s "Crossings (Music for Tenor Saxophone and Orchestra)" with the Helsinki Philharmonic Orchestra in 1983, Edward Vesala´s "Kullervo" with a large ensemble and a narrator in 1985 as well as Henrik Otto Donner´s orchestral suite "Dalens ande (The Spirit Of The Valley)" with the UMO Jazz Orchestra in 1991. During the 1990s, Aaltonen continued to enjoy a particularly close co-operation with Heikki Sarmanto, comprising a number of concert tours and recordings of extended works, such as an eight-part suite for flutes and keyboards called "Pan Fantasy" in 1990 and another series of compositions for flute and piano called "Silver Spell" in 1996. 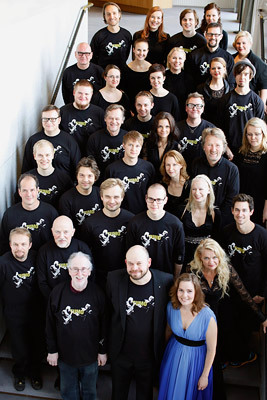 Aaltonen has been the principal jazz soloist of many of Sarmanto´s large orchestral and choral compositions beginning with the New York premier of "New Hope Jazz Mass" in 1978 and continuing with the "Suomi Symphony" in 1983, "Kalevala Fantasy" in 1986, "Hearts" in 1994, "Perfect Harmony" in 1996 and the "Winter War Requiem" in 2009. In total, Aaltonen has recorded 30 or so albums with Sarmanto playing a central role as a soloist on virtually all of them. Although Juhani Aaltonen´s role in various projects with Donner, Sarmanto, Vesala and others has been essential and Aaltonen has been one of the central figures in Finnish modern jazz for five decades, his output as a leader was, until the past decade, relatively limited. His recordings as a leader consisted of three recordings produced by Edward Vesala in the 1970s and early 1980s (Etiquette in 1974, Springbird in 1979 and Prana in 1981) as well as one project with Henrik Otto Donner (Strings in 1976) and several with Heikki Sarmanto (Pan Fantasy and Distant Dreams in 1990, Silver Spell in 1996, Déjà vu in 2000 and Rise in 2002). During the 1980s, Aaltonen experienced a spiritual awakening that led to a new phase in his career. Aaltonen increasingly began to perform in churches and religious events - often as a solo artist. He also began publishing religious recordings, containing both hymn-based improvisations and free improvisation. For much of the late 1980s and the 1990s, Aaltonen rarely performed outside of religious circles other than for his various projects with Heikki Sarmanto. This changed in 2001 when he founded the Juhani Aaltonen Trio with bassist Ulf Krokfors and drummer Tom Nekljudow. The Juhani Aaltonen Trio quickly established itself as one the most important modern jazz groups to come out of Finland and performed at a number of European jazz festivals. Both of its two recordings (Mother Tongue, TUM CD 002, in 2002 and Illusion Of A Ballad,TUM CD 013, in 2004/5) were well received by critics and audiences alike. 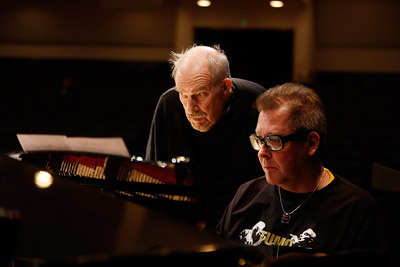 In 2007, Aaltonen began collaborating with Iro Haarla, Ulf Krokfors and Reino Laine in a new quartet that mostly performs compositions by its members. This quartet and its first recording (Conclusions, TUM CD 021) have received considerable critical acclaim. Contemporaneously with this recording, Aaltonen is also releasing a new recording by his quartet (To Future Memories, TUM CD 036), expanded with a second bassist and a percussionist, performing the music of composer and bassist Antti Hytti. Aaltonen has also in recent years performed in a trio with two great masters of modern jazz, Reggie Workman and Andrew Cyrille (Reflections, TUM CD 007, in 2002), and with Nordic Trinity, a co-operative group with guitarist Mikko Iivanainen and drummer Klaus Suonsaari (Wonders Never Cease in 2005, Eternal Echoes in 2007, Plays The Music Of Edward Vesala in 2010 and Live in 2012). In 2010, Aaltonen also recorded a new collection of duo improvisations with Heikki Sarmanto (Conversations, TUM CD 024-2). Aaltonen´s recordings have also received considerable critical acclaim, with each of Etiquette (1974), Strings (1976) and Mother Tongue (2003) having been chosen the jazz record of the year in Finland. Johanna Iivanainen (b. 1976) is a versatile vocalist who has been very much in demand during the past decade or so. Originally from Oulu in Northern Finland, Iivanainen moved to the Helsinki region in 1996 to study at the Oulunkylä Pop & Jazz Conservatory. In addition to working with her husband, guitarist Mikko Iivanainen, in Free Control and, more recently, as a duo, she has been the vocalist of Unit 6 and a member of the vocal group JimJamMurMur as well as 1N, Soi Ensemble and Korpi Ensemble. 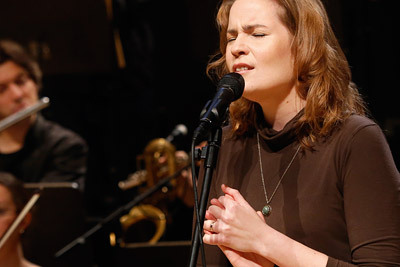 Iivanainen has also performed as the vocalist with the groups of a number of more established Finnish jazz musicians ranging from swing clarinetist Antti Sarpila to saxophonist Eero Koivistoinen and Henrik Otto Donner´s Free For All. Her first solo recording, Johanna Iivanainen (Silence), was nominated for the Emma Award as one of the best Finnish jazz recordings in 2004. Since then, Iivanainen has released two additional solo albums (Kadotaan uneen in2011 and Mustarastas laulaa in 2013). Altogether, she has been featured on nearly 30 recordings. Mikko Hassinen (b. 1971) has been one of the most in-demand drummers on the Finnish jazz scene for well over a decade. He has frequently performed with the UMO Jazz Orchestra, but is also known for his work with smaller groups, including those of saxophonists Eero Koivistoinen (UTU in 2002, Suomalainen in 2003, Lennosta kii in 2008 and Kaupungin valot in 2009), Seppo Paakkunainen and Pepa Päivinen (Umpsukkelis in 1999, Fun Faraway in 2002 and Tiram Nun in 2005), vibraphonist Severi Pyysalo and pianists Seppo Kantonen (Tokka in 2009) and Riitta Paakki (Riitta Paakki Trio in 2000, Enne in 2003 and Onion in 2006). Hassinen has also often collaborated with guitarist Raoul Björkenheim, including in a duo with him and as a member of his Triad trio in 2000 and 2001. In 2006, he conducted Björkenheim´s recording with the UMO Jazz Orchestra with tenor saxophonist Juhani Aaltonen and pianist/harpist Iro Haarla as featured soloists (The Sky Is Ruby, TUM CD 017). In recent years, Hassinen has increasingly focused on composition and conducting. 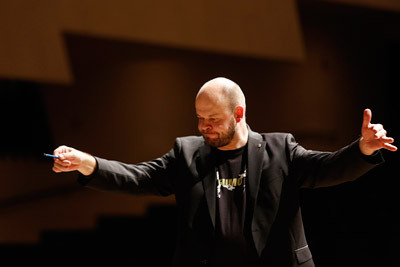 A number of his works have been performed by the UMO Jazz Orchestra (Sauna palaa in 2005 and Traveller in 2008) and he has also frequently conducted UMO and other large ensembles. Apart from his jazz-oriented work, Hassinen has also composed programmed music, particularly in the area of "drum & bass". His vehicle for this form of musical expression, Damodara, has released three albums (From Shadow to Substance in 1998, 4 Songs in 1999 and Damodara III in 2003). Since 2008, Hassinen has been a member of the percussion trio Kallio Slaaki (Polymania for Percussion, 2013). Hassinen has also performed and recorded with many artists in the realm of popular music, including Vesa-Matti Loiri, M.A. Numminen, J. Karjalainen, Maarit Hurmerinta and Värttinä, among many others. 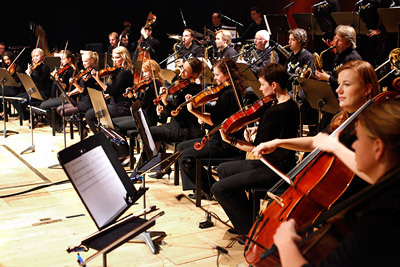 TUMO, or Todella Uuden Musiikin Orkesteri (in English, the Really New Music Orchestra), is a new large ensemble that performed for the first time at TUMfest12 in Helsinki in February 2012. TUMO is not intended to become an institutionalized orchestra. Instead, it is a loose aggregation of musicians with an interest in creative improvised music. In many cases, they also have had a prior affiliation, through various other projects, with TUM Records, Finland´s premier record label for improvised music. The idea behind TUMO goes back to the big band workshops of the late 1960s and early 1970s that were organized particularly in Baden-Baden, Berlin, Donaueschingen and other European jazz festivals and featured both European and American musicians playing new music together. Part of the thinking behind TUMO also comes from The Jazz Composer´s Orchestra, which, in the 1960s and 1970s in New York City, offered contemporary composers an opportunity to compose and perform their music with a large ensemble. At its premier at TUMfest12, TUMO performed under the leadership of composer and trumpeter Wadada Leo Smith. In many ways, one could not have had a more appropriate choice inasmuch as Smith was already involved in many of the jazz ensembles of the past that serve as inspiration for TUMO starting with the Experimental Band under the leadership of Muhal Richard Abrams, The Jazz Composer´s Orchestra and Anthony Braxton´s Creative Music Orchestra as well as his own large ensembles. The five extended compositions by Smith that were performed and recorded by TUMO under his leadership have been released as a double-CD, Occupy The World (TUM CD 037-2). Composer and trumpeter Henrik Otto Donner was equally appropriate to be TUMO´s second featured composer. Already in the 1960s, Donner occasionally expanded his experimental group, The Otto Donner Treatment, into a big band and, in later years, composed some of the most inspired music in the Finnish big band literature performed by the UMO Jazz Orchestra, OD Overdose and others. The musicians performing in this second incarnation of TUMO come from different generations, different backgrounds and even different countries but are all brought together by their interest in creative improvised music. 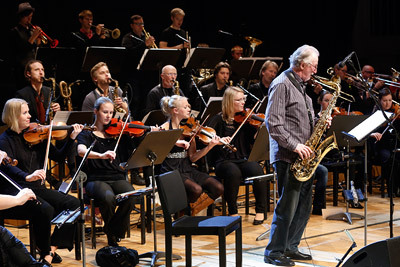 The principal soloist of this second appearance by TUMO, saxophonist and flutist Juhani Aaltonen, represents the first generation of European improvising musicians. Saxophonists Pentti Lahti and Pepa Päivinen, trombonists Jari Hongisto and Mikael Långbacka, pianist Seppo Kantonen, harpist Iro Haarla and drummer Markku Ounaskari can be seen as representatives of the next generation of modern improvising musicians that emerged in the 1970s or the 1980s and have already been leaders in the music and on their own respective instruments for two decades or more. Finally, the rest of TUMO is comprised of younger musicians, some with a background in jazz and improvised music, such as the members of the trumpet section, trombonists Ilmari Pohjola and Kasperi Sarikoski, saxophonists Manuel Dunkel, Mikko Innanen and Jussi Kannaste, bassists Ville Herrala and Ville Huolman, drummer Stefan Pasborg and vocalist Johanna Iivanainen, and others with a background in classical music but an interest in improvisation, such as horn player Kalle Hassinen, tubist Mikko Marttila and the members of the string section. Altogether, this presentation of TUMO was another unique meeting of a diverse group of high-caliber musicians.